Even buy-and-hold investors can't afford to let their portfolios collect cobwebs. Valuations and fundamentals change perpetually, and shareholders need to know what they're holding -- and if there's more potential for growth elsewhere. Here we take a look at some stocks worth swapping. The friendly skies aren't as chummy as they used to be for conventional travel agents. Local bookers continue to shutter their shops as travelers turn to the 24/7 convenience and rate-scouring prowess of online travel sites. There will always be a market for live travel agents among corporate travelers and consumers seeking a human touch in mapping their travel itineraries, but there's no denying that the real growth industry here are the websites that make booking easy. The leaders in this booming niche are Priceline.com (PCLN), Travelocity, and Expedia (EXPE). Investors can only buy directly into two of the three companies, so which one is the better buy? Despite its loftier valuation, Priceline is the one worth boarding. Expedia is a great portal, and its valuation is certainly compelling. Expedia may be trading for 19 times trailing earnings, but the multiple shrinks to 15 based on this year's projected profitability and 13 times next year's target. Expedia has a healthy overseas presence, including a chunky stake in China's eLong (LONG). There is also a compelling Web 2.0 play in Expedia's TripAdvisor, but the company announced plans to spin off that appendage earlier this year. The only thing that is disturbingly wrong at Expedia is its recent trend of coming up short on the bottom line. Expedia has missed Wall Street's profit estimates in two of the past three quarters. Add it up and Expedia is simply an OK investment at this point. You can do better -- with Priceline.com. Is Priceline.com cheaper than Expedia? No. However, it is making up that difference with its superior growth. Analysts see revenue at Priceline growing by 40% this year and 26% come 2012 -- more than twice the growth rate at Expedia. Investors know they have to pay a premium for growth, and they don't have a problem buying Priceline at 37 times trailing earnings with Expedia's P/E at a more reasonable 19. Why not pay twice as much for a company growing more than twice as fast? Well, it gets better. Since Priceline will continue to grow faster than its rivals, the P/E gap will narrow over time. Shares of Priceline don't seem so outrageous when we're talking about a fast-growing travel site that is trading at 23 times this year's estimates and a mere 18 times next year's bottom-line forecast. Put another way, Expedia and Priceline are fetching year-ahead profit multiples in the teens. 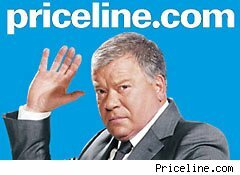 Does Priceline have a meaty stake in a small Chinese portal? No. It doesn't need it. Just 23% of Priceline's bookings are originating domestically these days. Priceline is already a global juggernaut. Investors can buy directly into the travel leaders in the world's most populous countries. However, Priceline is cheaper -- and growing faster -- than China's Ctrip (CTRP) and India's MakeMyTrip (MMYT). Oh, and unlike Expedia, Priceline has beaten Wall Street's quarterly profit projections without fail over the past five years. Longtime Motley Fool contributor Rick Munarriz does not own shares in any of the stocks in this article. The Motley Fool owns shares of Ctrip.com International. Motley Fool newsletter services have recommended buying shares of Priceline.com and Ctrip.com International.